Contact Mike Kinsella St. Albert Real Estate, Realtors, Buying or Selling Property in St. Albert and area, Email or Call directly for immediate assistance with Buying or Selling your Home. Get new listing updates daily in your email inbox by entering your home preferences and prices into the form, and Mike Kinsella will take care of the rest. Quickly explore St. Albert homes for sale. Homes for sale in Edmonton, St. Albert, Stoney Plain, Spruce Grove, Mornville House Listings. Mike Kinsella Realtors. The best St. Albert MLS® :Listings and Listings by Mike Kinsella. 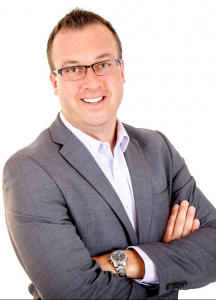 Personal local listings of Mike Kinsella, Real Estate Listings in St. Albert and Community. Client testimonials about Mike Kinsella Real Estate Agent with Royal Lepage Premier St. Albert. They are the Recommended Real Estate Agent in St. Albert by Many Happy Customers. Browse all of Mike Kinsella's personal St.Albert, Edmonton, Morinvill listings and featured office listings and see the best homes for sale in the St.Albert, Edmonton, Morinvill market today. Get detailed and helpful St.Albert, Edmonton, Morinvill home buyer reports sent directly to your inbox for free, and learn more about how we can help you successfully buy property.